Everything you should know if you rent out residential homes for short-term holiday lets in the Balearic Island of Menorca: the current, up to date regulations, concepts, legal and technical requirements that you must meet, the restrictions, the procedure to register your tourist accommodation and many other things. 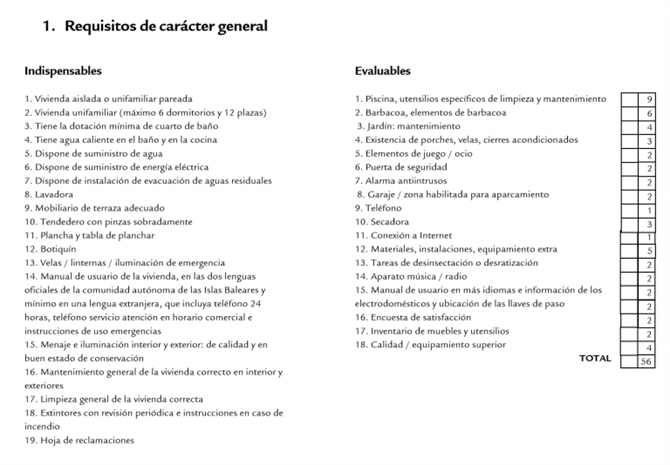 Where can you consult the regulations that regulate tourist stays in homes in Mallorca, Menorca, Ibiza and Formentera? The suitable areas where you can carry out the tourism activity will be provisionally agreed, by agreement of the respective Plenums of the Island Councils (Plenos de los Consejos Insulares) of Mallorca, Menorca, Ibiza, Formentera and the City of Palma. Subsequently, it will be included in the Plans of Intervention in Tourist Areas (PIAT) and Insular Territorial Plans (PTI). Tourist licences are now being sold via the Bolsa de Alojamientos Turísticos Consortium – “Consorcio Bolsa de Alojamientos Turísticos” (CBAT), located in Balearic capital city of Palma. What is the current situation in Menorca (2018)? 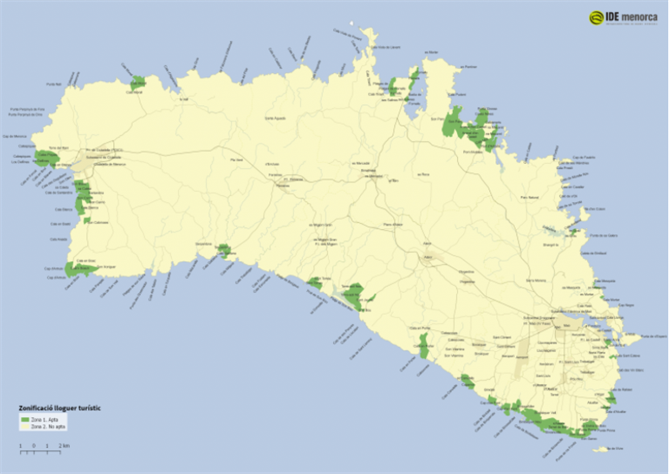 The Plan of intervention in tourist areas of Menorca (PIAT) or the Insular Territorial Plan (PTI) are the means by which the establishment of tourist zones, according to levels of tourism activity, will be established as well as the corresponding restrictions in permitted tourism activity. Is there a definitive zoning for the commercialization of holiday rentals? 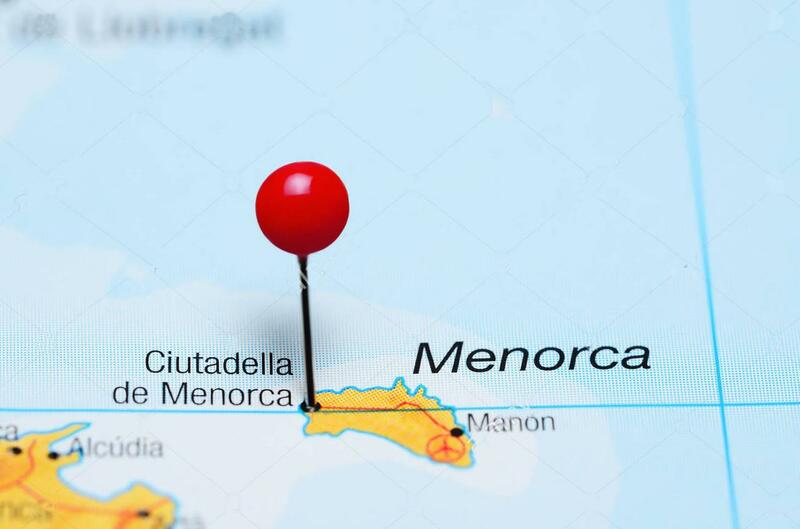 On 23 March the Plenary Session of the Insular Council of Menorca initially approved the proposal of provisional delimitation of areas suitable for the commercialization of the holiday rentals. This proposal was definitively approved by the Insular Council on 16 July 2018, without introducing any modification to the provisional proposal. In Maó: Cala Canutells and Binidalí. In Es Castell: Sol de l'Est. In San Luis: Sa Sivina de Baix, Punta Prima, Biniancolla, Binibèquer Vell, Binissafúller, Son Ganxo, Cala Torret, Binibèquer Nou, Binissafúller Platja, Cap d'en Font, S'Algar and Cala Alcalfar. In Alaior: Cove in Porter, Son Bou, Torre-solí and Sant Jaume. In Es Mercadal: Son Parc, Arenal d'en Castell, Punta Grossa, Port of Addaia, Coves Noves, Na Macaret, Playas de Fornells and Ses Salines. In Ferreries-Ciutadella: Santa Galdana and Serpentona. In Ciutadella: Son Xoriguer, Cala en Bosc, Cap d'Artrutx, Cala Blanca, Santandria, Son Blanc, Sa Caleta, Son Carrio, Son Cabrisses, Cala en Blanes, Torre del Ram, Calespiques and Cala Morell. In Maó: Es Murtar, Cala Mesquida and Es Grau. In Es Castell: Cala San Esteban. Areas that are classified as rustic land, whether protected or common, as shown on the map above, are considered not suitable for holiday rentals. Maó, Ciutadella, Alaior, Ferreries, Es Mercadal, Sant Climent, Sant Lluís, Es Castell, Es Migjorn Gran, Llucmaçanes, Binixica, Argentina, Son Vitamina, Torret, S'Ullastrar, Es Pou Nou, Es Consell, Trebalúger, are Vilar , Sínia Riera, Calescoves-Lloc Nou and Vorera esquerra de Santandria. Holiday rentals are restricted on the island of Menorca with only five exceptions (Fornells, Sa Mesquida, Es Murtar, Es Grau and Cala Sant Esteve), none of which include Ciutadella. Thus, the Insular Council prohibits the tourist rental in rustic land and in the traditional nuclei (except for 5 areas outlined above), also in the eight population centres (Maó, Ciutadella, Ferreries, Es Mercadal, Es Migjorn Gran, Alaior, Es Castell and Sant Lluís) and in the urbanizations that are not touristy. Those owners of homes in prohibited areas that already have a license for tourist rental will be able to continue renting out their properties. Aside from the above-mentioned exceptions, tourist rental is restricted to tourist developments throughout the island. The situation will not change at least during the next two years and new activity licenses cannot be granted until the revision of the Insular Territorial Plan (PTI) is carried out. Only if the PTI makes restrictions on holiday rentals more flexible, could the situation in this activity change in the future. From August 1, 2018 will be allowed the presentation of new applications for license (DRIAT) for all types of housing except for the apartments in Mallorca, Menorca, Ibiza and Formentera. Before marketing tourist stays in residential homes you must submit the corresponding declaration responsible for the start of the tourist activity (DRIAT) in which you show compliance with the requirements established in the current regulations, with registration to the Insular Council of Mallorca, Menorca, Ibiza, Formentera and Palma City Council, depending on where your home is located, and pay the corresponding fee. 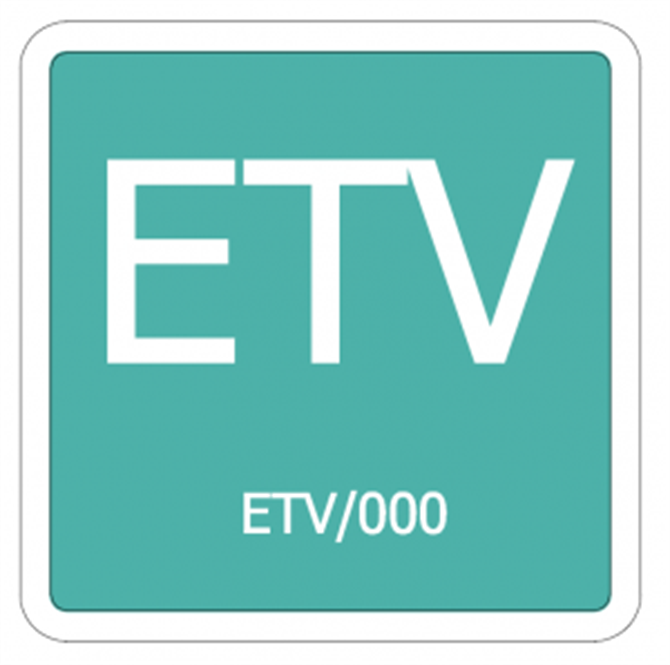 Only new declarations responsible for the start of commercialization of tourist stays can be submitted if they refer to a residential property that is located in the areas declared expressly suitable in the Tourist Zones outlined by the Insular Council of Mallorca, Menorca, Ibiza, Formentera and Palma City Council. You can process your DRIAT from the Carpeta Ciudadana of the Insular Council of Menorca. 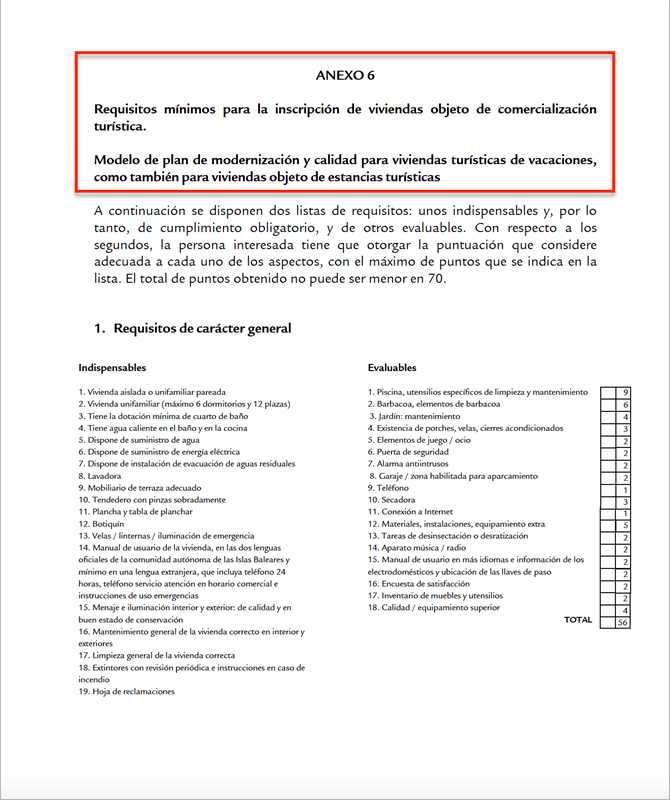 The Carpeta Ciudadana portal is a communication channel with the Consell de Menorca that allows you to carry out procedures and procedures through the Internet.